From my utility-modded career save using Yonge Tech Tree and Antenna Range (no Remote Tech cuz that sounds like work and commiment! I just like the lines). Requires KER. Must right-click to toggle each part. You’ll have to zoom through the structural piece to get to the commo-trono 16. 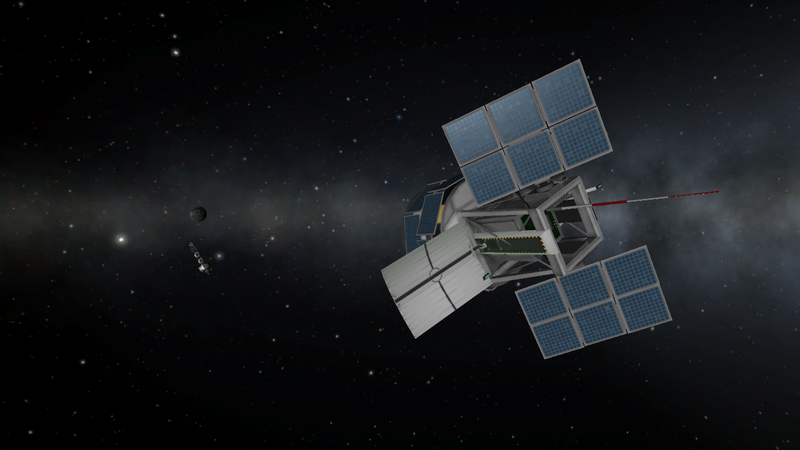 And it probably doesn’t need all the extra solar panels, I just have a problem remembering solar panels on probes, so I may have over-compensated. A mod subassembly called Bhuji CommSat (KER). Built with 28 of the finest parts, its root part is liquidEngineMini.